Saudi Arabia's PetroRabigh shut its ethane cracker last week because of a leak from water pipelines linked to the unit, the company said on Sunday. The company, a joint venture between national oil giant Saudi Aramco and Japan's Sumitomo Chemical, said the leak occurred on Oct 16 and that it shut the unit as a precautionary measure to prevent damage. The unit, which has an annual production capacity of 1.3 million tonnes of ethylene, will be back online within three days, the company said. 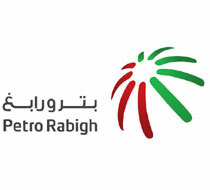 PetroRabigh estimated the financial loss due to the outage at 81 million riyals ($22 million), which would be reflected in fourth-quarter results.